DESCRIPTION: The Jax Palm Trees website was designed and developed by PTC Computer solutions. Jax Palm Trees has been serving Northeast Florida, Jacksonville, and the Jacksonville Beaches areas for over 30 years. We are dedicated to the care, maintenance, and installation of trees for residential and commercial purposes. 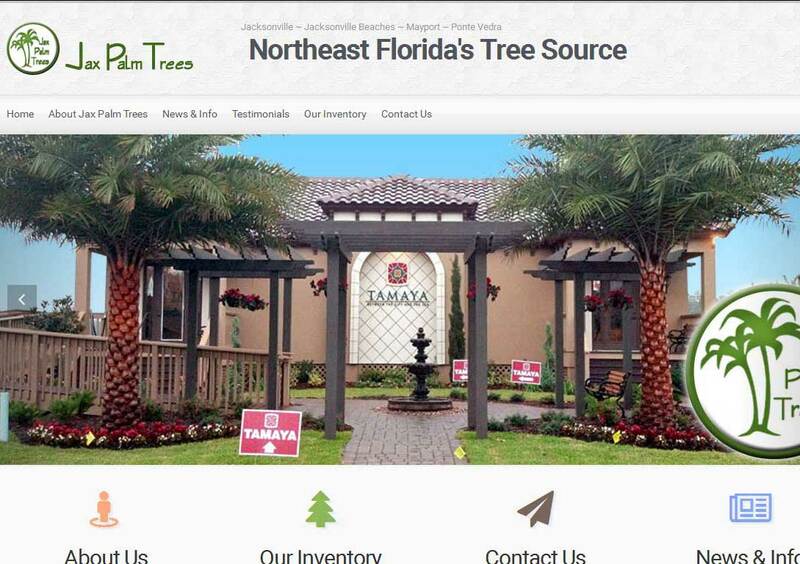 You can find out more by going directly to their personal website, www.jaxpalmtrees.com/, or contact them directly at info@jacksonvillepalmtrees.us or 904-591-7392. The http://www.JaxPalmTrees.com website is an excellent way to develop a shopping cart of products. The design of the shopping cart for the display of products is an excellent format. Jacksonville Palm Trees should be very excited to have PTC Computer Solutions as a website design and development company in Jacksonville, Florida.